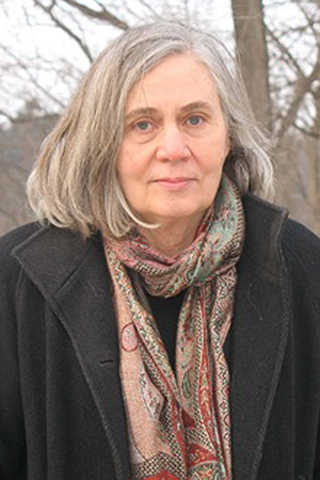 Marilynne Robinson, professor emerita at the Iowa Writers’ Workshop, will be honored at the Library of Congress with a special event titled Fiction, Faith and the Imagination on Monday, April 3. The event, which will feature a panel discussion, will be live-streamed on the Library’s YouTube site at youtube.com/libraryofcongress. Robinson, the 2016 Library of Congress Prize for American Fiction winner, will be joined on the panel by one of her former students and colleagues at the Iowa Writers’ Workshop, Pulitzer Prize–winning novelist Paul Harding. Also on the panel are Pulitzer Prize winner Geraldine Brooks and best-selling novelist Alan Lightman. They will be discussing the ways faith informs their work. Steven Knapp, president of George Washington University, will serve as the moderator. Last September, Robinson became the eighth recipient of the Library of Congress Prize for American Fiction. The award honors an American literary writer whose body of work is distinguished not only for its mastery of the art but also for its originality of thought and imagination. The award seeks to commend strong, unique, enduring voices that have helped express something unique about the American experience.